Getting items from place to place can be a challenge! 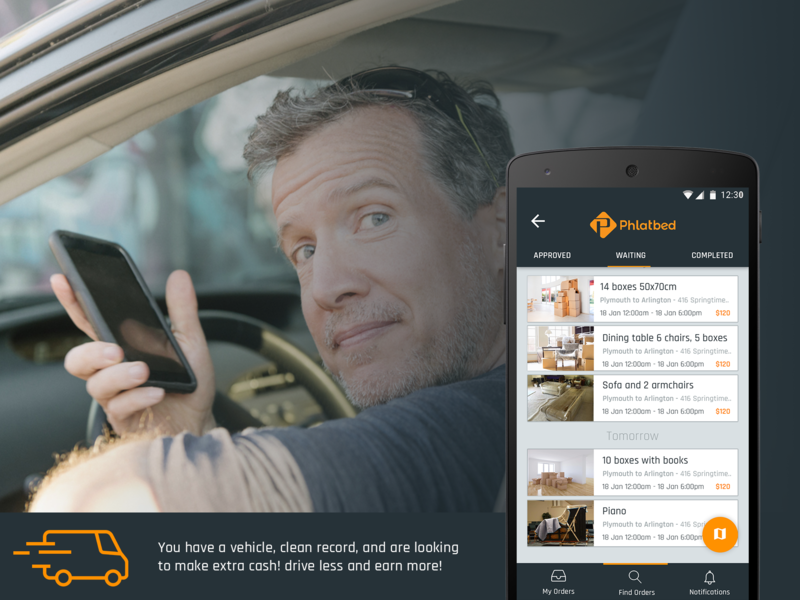 Phlatbed connects you to local drivers who can help you move stuff, including labor and junk removal! Small Item Move: Need help moving that couch, washing machine, table, bed, or cabinet dresser? Store Delivery: Bought an item at Home Goods? TJ Maxx, Bed Bath & Beyond? Phlatbed is there to help! Junk Removal: You've been Procrastinating on removing those items from your garage or basement for months, Phlatbed to the rescue! Labor: Help packing, loading, or just a handyman! If you were one of the 28 million Americans who moved their families between 2012 and 2013, you probably spent more on your move than you needed to. Additionally, getting the items you need delivered on time without negatively impacting your schedule is important. Delivery on-demand, from food, to amazon orders, to groceries, and furniture, has become a normal part of our lives. "Uber for Deliveries" as some call it. 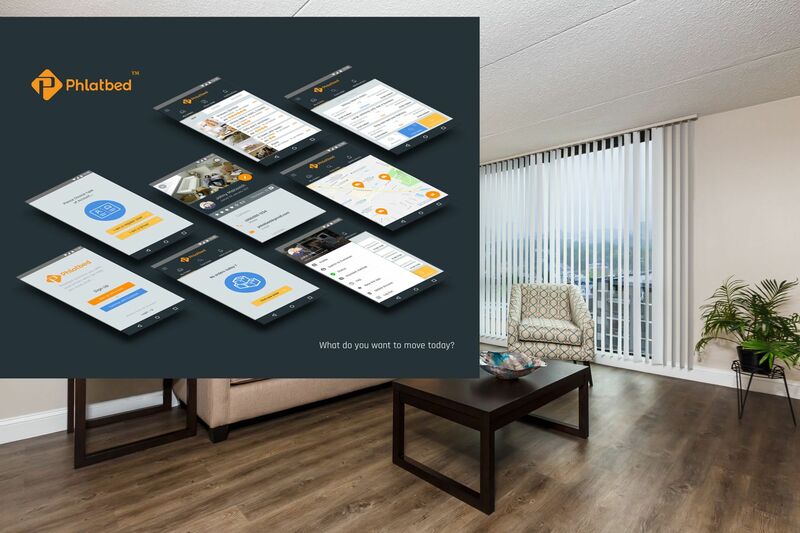 Using an on-demand moving & delivery app capitalizes on availability and flexibility. You can track your item in real time, chat with your driver in the app, and get your items where you want it, when you want it. Uber for Delivery has become a very real term the same way "Google it" became eponymous with search. In the same token, we have all come to place more value on our time, even as retailers are increasingly concerned about the cost of holding post-sale inventory. The gig-economy is surely not slowing down by any means, largely aided by technology that has helped the on-demand marketplace grow. According to a survey conducted by Burson-Marsteller, 45 million Americans today are offering goods and services in the sharing economy used by 86.5 million Americans. This has been to the benefit of the direct consumer and the provider ecosystem. Trust is a fundamental part of the on-demand model. “The marketplaces are generally peer-to-peer markets, where you can determine other people’s experiences with you,” says Benecke. “If you’re renting a particular service, a community can rate a particular service. Users rate providers, and users are rated by buyers.” This mutual feedback mechanism ensures quality, while the market stabilizes pricing and value. People are more inclined to trust someone with an established service and good reviews. This feedback mechanism is the currency within these ecosystems….good data! Labor and Junk removal and no exceptions either. You can stop worrying about those items you keep asking your spouse or promising yourself to get rid of. All within the Phlatbed App for Junk Removal, simply select junk removal and a driver will be there to cart the item away! This brings a consolidated way of simply moving items from point A to Point B on-demand! The platform boasts a marketplace consisting of thousands of drivers nationwide that are ready to help fulfill your moving, delivery, junk removal, and labor needs. It appears the company is billed as the Uber for moving, considering Uber has the largest marketshare of the ride hailing sector. Phlatbed seems immune from the eponymity of Uber and Google evolving into a part of our daily language, based on this testimonial. Last time I checked, no Uber or Lyft driver was willing to fit your washing machine in their Chevy Volt or Tesla! Given these comparisons, what makes moving different? Let's face it, Moving is hard, that’s when you know who your true friends are! The usual pizza and ice cream incentive simply doesn’t cut it anymore. We have all been there….new job, new city, new apartment and the dreaded occasional furniture or item purchase and getting it home. A simple walk through IKEA and you know this feeling all too well. Sometimes you even miss out on deals simply because you couldn't get the item home, or stay within budget after shipping and waiting. Combine that with the item you need to get rid of to make room for the new item. In many cases it almost all becomes junk when you need to move again! Get Phlatbed On the App Store today! Other players in the field include Phlatbed, Dolly, Buddytruk, and Moved. I need someone to come to my house, move a few large furniture moved from one room to another. Used it many times, BF also signed up as a Driver on Phlatbed. Fewer jobs but he makes alot more on one Phlatbed job for every 5 Uber jobs. Then again you need to know how to balance your time. Good article. Thanks. I did always want a friend with a truck.